Instructions: My card size is 5 x 7". Make card base and then cut a piece of the paper collection and distress the edges. I used Magenta Hue ink to color these distressed edges. Glue paper to card front and set aside. 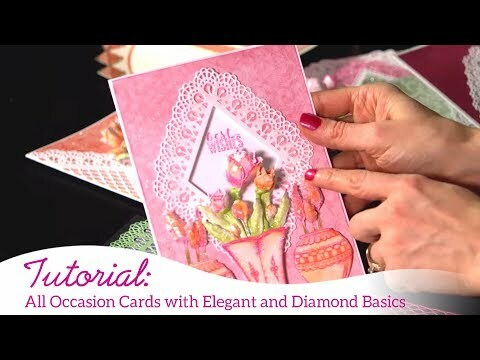 Cut out the Diamond and Lace Die using white cardstock and then using yellow cardstock, cut out the Lacy Diamonds Die. I used a sponge and Dries Clear Adhesive and glittered the two die cuts and then set aside to dry. I cut a piece of the paper collection and glued it to the back of the Diamond and Lace die. Now, layer the Lacy Diamond Die over the other die and glue down. Adhere to card front. Stamp the sentiment onto the card front and set the card aside. 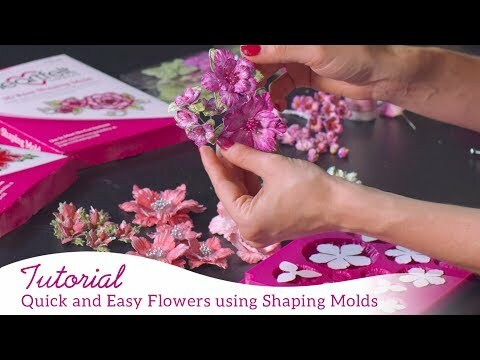 Now we are going to work on the flowers using the new Deluxe Flower Shaping Paper. Using Plum Archival ink, stamp the flower petals and then cut out using the coordinating die. Color the center of the petals with Leaf Green Archival Ink and the outer edges with Magenta Hue. I also colored the back of the petals with Magenta Hue and then I went around the very edges of the petals with Vibrant Fuchisa. This gives the petals just a bit more dimension. 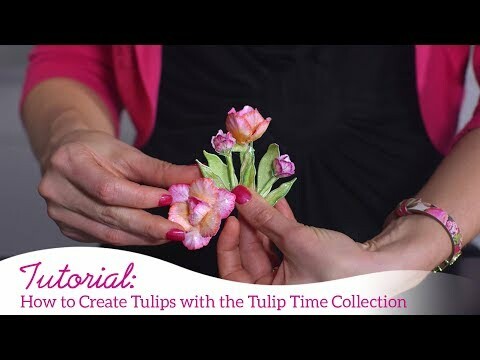 Lay the flower petals into the Tulip Shaping Mold and spritz with water. Run through the Vagabond and then shape the edges a bit and set aside to dry. Once the flowers are dry, glue 3 layers together and add the Prills to the center. Next, I added some glitter to the edges and allowed to dry. 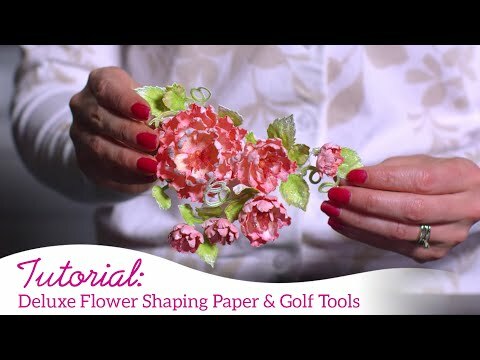 I found I adore the new Flower Shaping paper and I'm sure you will as well. Now Stamp the leaves with Fern Green ink and color with Leaf Green and Magenta Hue so they will match the flowers. Cut out and layer into the Leaf Mold and spritz with water and run through the Vagabond. Lay aside to dry. 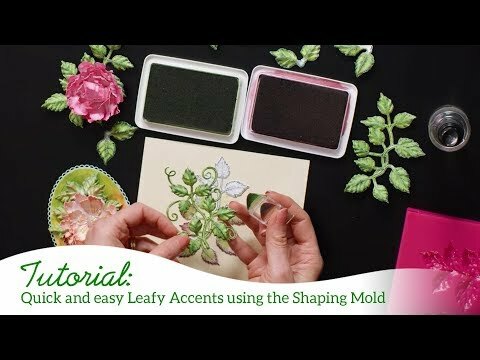 When the flowers and leaves are dry, situate them around the sentiment and hot glue them down. Your card is ready to go.